Earlier this month in Philadelphia, there was the 17th annual "White Privilege Conference," which a friend describes as a "liberal confab devoted to self-abnegation." One of the speakers, Paul Kivel, blamed Christianity for everything bad in the world. Kivel is the co-founder of the Oakland Men's Project and founder of "the Challenging Christian Hegemony Project." Speaking of St. Francis, he is the name sake of the city across the bridge from Oakland, San Francisco. Father Juniper Serro of the 18th century created a network of 21 Catholic missions – essentially a one-day horseback ride away from each other – from San Diego to Sonoma, essentially establishing California's cities. The first law for education in America was the "Old Deluder Satan Act" in Boston of 1642. The goal was to teach boys and girls how to read for themselves so that they could read the Bible – thus, thwarting the attempts of that "old deluder Satan," who works hard to keep people from reading God's Word. He is quite effective in our times, but not primarily through illiteracy. Most of the greatest universities the world over were founded by Christians for Christian purposes...Oxford, Cambridge, Harvard, Yale, Dartmouth, Princeton, and so on. Kivel blames Christianity for the wars in the Middle East. It's all the missionaries' fault. Huh? I don't suppose Islam has anything to do with the wars in the Middle East. Enough said. Did Kivel use a microphone to blast the Christian church? Did he have a lightbulb by which he could see his speech? Christianity played a major role in the development of modern science. While the ancient Greeks helped pave the way, modern science was born in the late Middle Ages by Christian experimenters who were, in the words of Johannes Kepler, "thinking God's thoughts after Him." They believed a rational God had created a rational universe, and it was their role, said Kepler, as "priests of the most high God" to discover those laws. Another irony about this story can be seen in one of the headlines about this story: "KIVEL SAYS CHRISTIAN LEADERSHIP IS THE REASON FOR THE WORLD'S PROBLEMS." Presumably, a conference dumping on "white privilege" might pay homage to Dr. Martin Luther King, Jr., the greatest of the civil rights champions. King was the president of the "Southern Christian Leadership Conference." 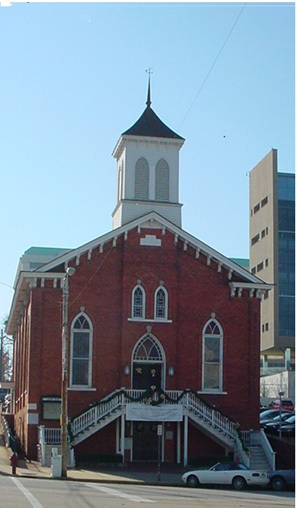 The church was the key launching pad for the whole civil rights movement. King was a Baptist minister. The classic "I have a dream" speech by King was essentially a sermon by a Baptist minister, in which he quotes Isaiah. "I have a dream that one day every valley shall be exalted, every hill and mountain shall be made low." In short, the humble shall be exalted; the proud shall be humbled. One thing Kivel did say is correct: Christianity does not teach that the earth is to be worshiped. To the contrary, the Creator of the earth is alone to be worshiped. But humans are stewards of the earth – not to abuse it but to subdue the earth. Kivel wants a world without Christian influence. Humanity has done that before. It was called the Soviet Union. It was called Pol Pot's Cambodia. They brought hell on earth. To paraphrase C.S. Lewis, if Jesus had never come, it would be "always winter, but never Christmas."